It takes only ONE person to change your world – that person being YOU. But you need to know the mechanics of how to transform your world. Let us show you. The Zonehigh Core Philosophy introduces you to the basic concepts of Zone. To understand what is the Zone and how it works to enable you to become a champion at work and in life, please read this first. The Zone Coaching Program is facilitated one-on-one with a Zonehigh Certified Coach. It is ground breaking, out of the box and one of a kind. The paradigm jump you will make is beyond anything you’d have encountered and more rewarding than you can imagine. This program covers all 3 levels of Zone and by the end of the program, you will be Zoning at Level 3 Zone. In the Zone, you feel happy, confident and fulfilled. In this state, people are attracted to you and want to work with you. This engenders collaborative creativity where credit for success is enjoyed by all. With a non-judgmental attitude, no blame or guilt is attributed to any members of the team. Instead a “solution- oriented” culture flourishes. The “in the Zone” culture naturally leads to consideration for the betterment of the planet and people as well as profit. When your people are happy and fulfilled, it makes it easy to attract and retain talented staff. Fear and its cousins (frustration, anger, disappointment, etc.) are the greatest barriers to getting into the Zone and breaking your sales records. Knowing how to make an appointment or close the sale is NOT enough. Extraordinary success happens in a state of flow. In the Zone, the activities of selling become effortless, and the outcomes beyond logic. Zone Training is particularly useful for people whose job it is to foster trusting relationships with others. This is because emotional mastery and resilience is a mandatory skill for relationship building and a pre-requisite for sustaining the “in the Zone” state. Emotional mastery is a skill you can learn, but unfortunately conventional methodologies for teaching emotional resilience are limited by the framework of societal norms. As Albert Einstein said, “We cannot solve our problems with the same thinking we used when we created them.” In the Zone, you are able to connect, engage and influence others with kindness, compassion and integrity. You will learn how to take off the perception lenses through which you perceive those most important to you in life and experience the transformation that takes place when these lenses come off. Harmony, love, joy and deep inner peace are experienced when you are in the Zone. People looking to maintain the status quo with old methodologies for success which espouses force, pressure and the “no pain, no gain” philosophy. Sportspeople, both professional and amateur, who want to become Champions in their sport. Individuals who are interested in improving their relationships and experiencing unconditional love, contentment and fulfilment in every area of their lives. Spiritual seekers who have been looking but have not yet found what resonates with them. If you think this is you, then book into this program. Because the program is facilitated one-on-one, it provides a totally customised learning experience based on your specific needs and personal circumstances. The program will change how you experience life forever. You have probably heard about the program from a friend or have heard Michelle speak about the Zone. The sessions are insightful, enjoyable and instantaneously transformative. Unlike many other life-coaching programs, the Zone Coaching Program provides a unique methodology and specific process for resolving any barriers to your success and happiness in every area of your life. You will also be provided with a set of powerful tools that you will use for the rest of your life. Because it is a personal and confidential program, you are able to go at your own pace and address the most personal issues in your life, which you may not even have shared with your closest friend. Amongst those who want to fast track success both professionally and personally, this unique program is considered a required undertaking. The program is world class and delivered by highly dedicated and passionate coaches who have been certified by Zonehigh to the highest standard. The objective of this program is to lift you into the state of FLOW, where serendipity, synchronicity and extraordinary success become your everyday experience. Four 1.5-hour personal Zone coaching sessions (6 hours in total) with your Zonehigh Certified Coach. The Zone Coaching Program includes the A day in the Zone Toolbox and FREE access to the Zone Digital Program. This program provides 12 months’ support via videos, audios and pdfs to help you revisit what you have learnt, whenever you feel the need. 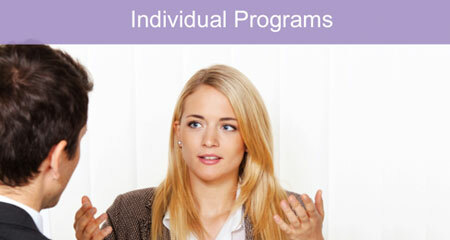 This program is normally valued at $399 and is usually sold as a self-study course. You will also receive weekly Hi-Zone tips in the form of a newsletter to remind you to use your Zone tools to help you keep Zoning high every day. The Zone Executive Coaching Program is for CEOs and executives of companies large and small who are interested in transforming the culture of their organisation to one of spontaneous Peak Performance without Stress and Service with Love. The Selling in the Zone Coaching Program is for Salespeople who (a) are shooting for the stars or (b) have lost their mojo and want it back right now. Now that you have read all about the program, you can see that this rigorous process is practical, unique and full of 10 years of proven wisdom. There is something special (we call it magical) that happens when you get into the Zone. At the end of each Zone coaching session, you leave in a higher state of being. At the end of the program, you feel secure in the knowledge that you have the skills and the tools to sustain this wonderful state for the rest of your life. Timing: You can start your program as soon as it is mutually convenient for you and your Zonehigh Certified Coach. Investment: Please call Michelle Stanton on 0404 808 750. Your investment includes the Zone Toolbox, the 12 month Zone Digital Program support (mp3/pdf), workbook and pen. All that is required of you is to bring an open mind, a willingness to apply the tools and a desire for extraordinary success without stress. To book a complimentary Zone strategy session to assess where you are, where you’d like to get to and how the Zone process may help you get there, please email [email protected] or call Michelle on 0404 808 750. The High Zone Intensive Course is facilitated in a group. Click here for more information available in the Group Programs page. To ensure that anyone, anywhere in the world can access the cutting edge knowledge and tools for getting into the Zone and instantly transforming their world, we bring you Zonehigh’s pivotal program in an accessible virtual format. A program that has been 10 years in the making and previously only available in live programs is now available to anyone with an Internet connection and a thirst for leadership and transforming their world. It is a comprehensive program and the virtual experience has been designed with maximum learning benefit in mind. At the very least, it is the perfect way to get ready for the High Zone Intensive Course or One-on-One Zone Coaching Program. To register for this program, email [email protected] or call Michelle on 0404 808 750. Does pain stop you from living your life to the fullest?